* Play the most romantic Dash game! With over 20 million downloads to date, Dash is one of the biggest gaming franchises ever on the iPhone and iPad. 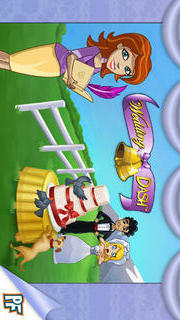 Play Wedding Dash for FREE! Love it? Upgrade to the full version from within the game! Plan ultimate dream weddings for picky brides and grooms! Help Quinn launch her fledgling wedding planning business, starting with simple backyard weddings and advancing to elegant ballroom receptions. Choose all the details, manage comical disasters, and keep guests happy – or risk the wrath of Bridezilla! 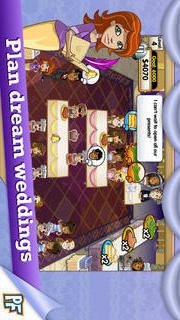 * Plan dream weddings on your iPhone and iPad! 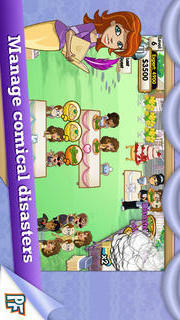 * Manage comical disasters including pigeons, fires, and bees - or risk the wrath of Bridezilla! * Unlock additional destination weddings, including Rooftop Romance and Vows in the Clouds, through in-App purchase. Love Wedding Dash? 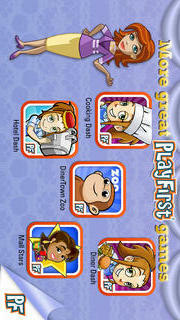 Try our other addictive games, including Diner Dash, DinerTown Zoo, Hotel Dash and Cooking Dash. You’re guaranteed to see familiar faces that you know and love.